Viknesh Vijayenthiran March 22, 2019 Comment Now! 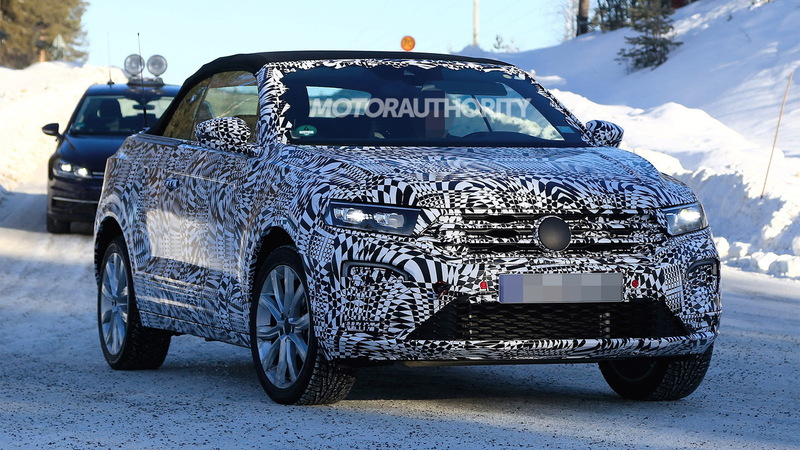 A new open-top version of Volkswagen's trendy T-Roc has been spotted. 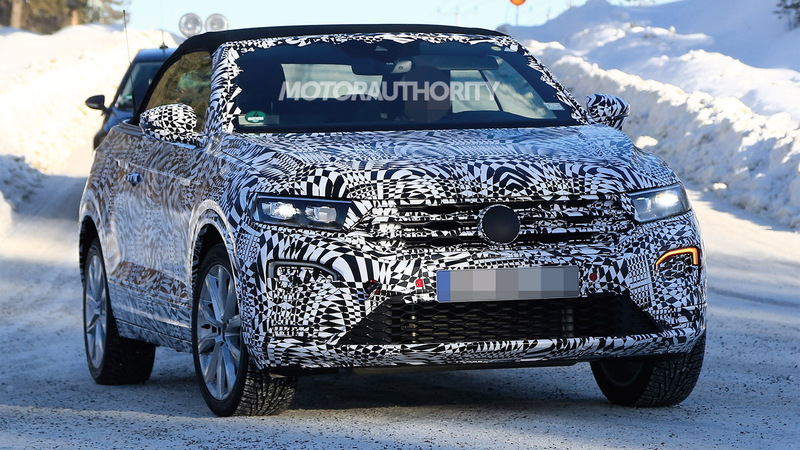 Its sighting follows February's reveal of the high-performance T-Roc R.
The T-Roc is a compact crossover SUV based on Volkswagen Group's flexible MQB platform. It isn't sold in the United States so don't count on this open-top version appearing in local showrooms anytime soon. Elsewhere, the open-top T-Roc, likely to be called a T-Roc Cabriolet, will go on sale in the first half of 2020 as a replacement for the soon-to-be-discontinued Beetle Cabriolet. It will be produced at VW's plant in Osnabrück, Germany. 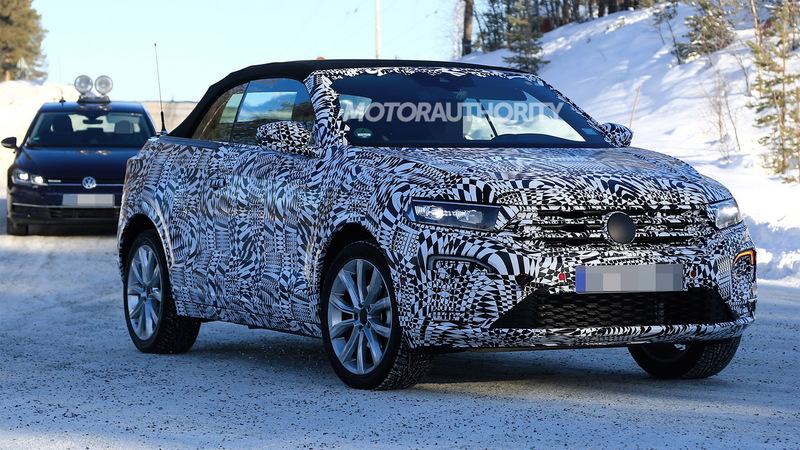 Our spy shots and video show what the T-Roc Cabriolet will look like when it reaches production, and unsurprisingly it wears similar design traits to the fixed-roof version. 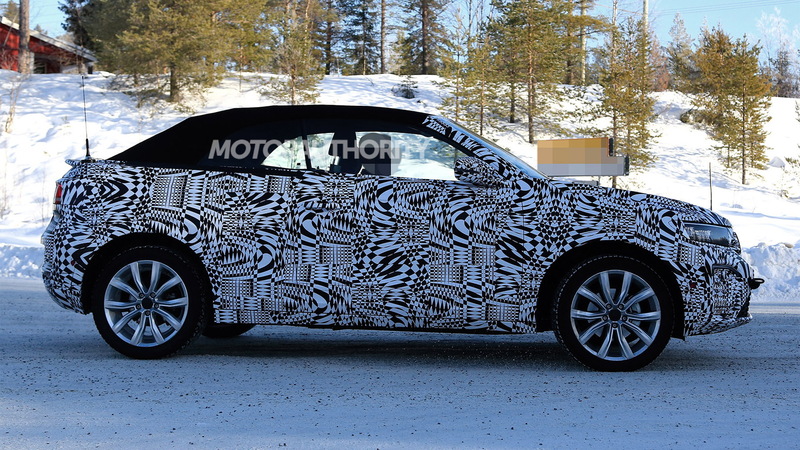 2020 Volkswagen T-Roc Cabriolet spy video from Motor Authority on Vimeo. The basic design changes from four doors to two, the roof is a cloth unit, and the rear end is slightly altered with a small spoiler. Depending on where it's sold, the T-Roc offers three gasoline and three diesel options, all of them inline units with turbocharging. Front-wheel drive and a manual transmission are standard but buyers can add all-wheel drive and a 7-speed dual-clutch transmission should they desire. The only competition for the T-Roc Cabriolet is Land Rover's Range Rover Evoque Convertible. 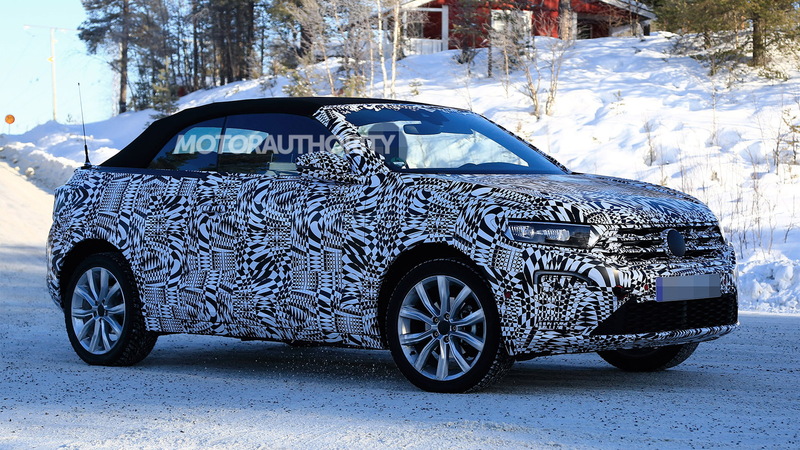 However, BMW could join the fray with an open-top version of its X2. While VW has no plans to bring the T-Roc to the U.S., the automaker isn't ignoring the compact crossover segment here. Instead it's developing a separate nameplate for our market that will be styled like the mid-size Atlas and enter production at a plant in Mexico in 2020.